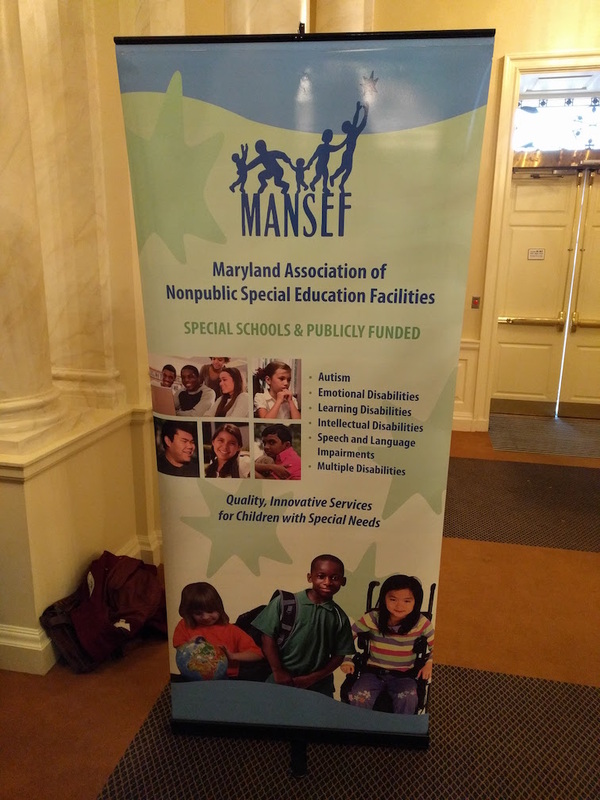 Last week, I had the opportunity to go to MANSEF Advocacy Day in Annapolis, the first time I’ve ever availed myself of the opportunity. Today’s the annual “World Autism Awareness Day” as part of Autism Awareness Month. As all of us parents of children with Autism know, there’s really no such thing as ‘just’ a month dedicated to it, since we’re aware of it all the time, but… let’s be honest. “Light It Up Blue” tends to draw folks’ attention. My wife and I had a rare afternoon out without the children – the Monster and his brother spent the afternoon and evening with their grandparents, while we went with my dad to the (awesome? incredible? “WOW!”?) Virginia Tech “at” Cincinnati football game. I wasn’t even thinking yet about what to be writing when we got home, and found a letter from the Romney-Ryan campaign waiting. While sitting up in the middle of the night with a teething child #2, I’ve been working on revising my letters to both campaigns, which will hit the postal service in a few hours. I don’t know that I expect an answer from either campaign, but I would like to think that I’m not the only parent who wants clarification on the future. This morning, while I’m sitting at work, I’m watching tweets about the Interagency Autism Coordinating Committee meeting fly by on the screen. Since the election season is just around the corner, and primaries are finally (mercifully) behind us, I’ve only just started considering who I intend to vote for in the upcoming general elections. I should note that I’ve voted in every election – EVERY ONE – since I became eligible to vote in 1992, and I take seriously my responsibility to be an educated voter. In the past, I’ve obviously considered other issues than autism – last time we voted for President, the Monster was coming up on six months old and we had no idea that something was wrong. The last time we voted for Congress, Governor and our state legislature, he was just past two and we were just starting to grasp the concept that it could be autism (he’d just started intake with the Baltimore City Infants and Toddlers’ Program). To be honest, autism hadn’t even entered into the realm of issues that I’d be considering positions on when I make my choices on that first Tuesday after the first Monday in November. Over the last few days, though, I’ve been reading a couple of articles on various reputable websites and in responsible magazines that are giving me some substantial food for thought.